The Southern Baptist Convention failed to pass a resolution aimed at condemning the "Alt Right" movement, with a new resolution being scheduled for debate on Wednesday afternoon. During the first day of its annual meeting in Phoenix, Arizona on Tuesday, the SBC entertained a resolution meant to denounce the far right movement known as the "Alt Right." The Alt Right is a political movement generally associated with white nationalism and known for launching intense attacks on ideological enemies on social media. At the end of their Tuesday meeting, SBC delegates failed to pass a resolution denouncing the Alt Right, with the Baptist Press noting that a new resolution is scheduled for a vote on Wednesday afternoon. "The Resolutions Committee chose not to report out the proposal to messengers. An effort by the resolution's author to bring the 'alt-right' measure to the floor failed in the afternoon session," reported the Baptist Press. "... a motion by another messenger in the evening session also fell short. Each motion required a two-thirds majority, and the evening vote received only 58 percent approval." William Dwight McKissic, an African-American Texas pastor, introduced a draft resolution denouncing the Alt Right last month. "... there has arisen in the United States a growing menace to political order and justice that seeks to reignite social animosities, reverse improvements in race relations, divide our people, and foment hatred, classism, and ethnic cleansing," read the draft. "... this toxic menace, self-identified among some of its chief proponents as 'White Nationalism' and the 'Alt-Right,' must be opposed for the totalitarian impulses, xenophobic biases, and bigoted ideologies that infect the minds and actions of its violent disciples." Todd Benkert, messenger from East Lake Baptist Church in Crown Point, Indiana, posted on the blog SBC Voices on Wednesday that he feared the failure to pass the resolution was a "huge misstep." "I awoke this morning tired and frustrated that we didn't, in fact, get it right. The world is watching. Our brothers and sisters of color are watching. They're getting a mixed message," wrote Benkert. "Southern Baptists should be leading a lost world in racial unity and biblical reconciliation. Instead, we are once again caught flat-footed, communicating to the world that we just don't get it and communicating to our fellow brothers and sisters of color that we don't really care." 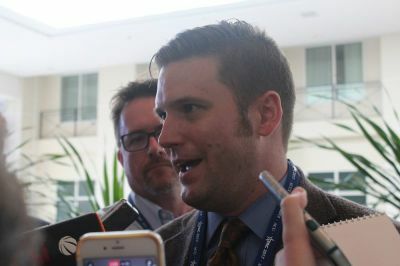 SBC Resolutions Committee Chairman Barrett Duke explained to reporters that the Alt Right resolution failed because "we just didn't see a way that we could speak to the multiple issues that were raised in that resolution in a way that we felt would be constructive," adding that much of the proposal "already had been addressed recently." Russell Moore, president of the SBC's Ethics & Religious Liberty Commission, said Wednesday morning on Twitter that he expects the SBC to "enthusiastically pass" the resolution. He also noted Alt Right ideologies are "anti-Christ and satanic to the core."